Crispy on the outside. Fluffy on the inside. And delicious from one lovely little indentation to the next. Waffles are so darn good we decided to put them in the spotlight. Used to be that waffles were a special weekend-morning treat, when the clunky waffle iron came down from the cupboard and you watched their steamy transformation and anticipated their arrival on your plate. Nowadays, though, waffles are showing up everywhere, at all times of day, from breakfast cafes to four-star restaurants and served in a host of creative ways. 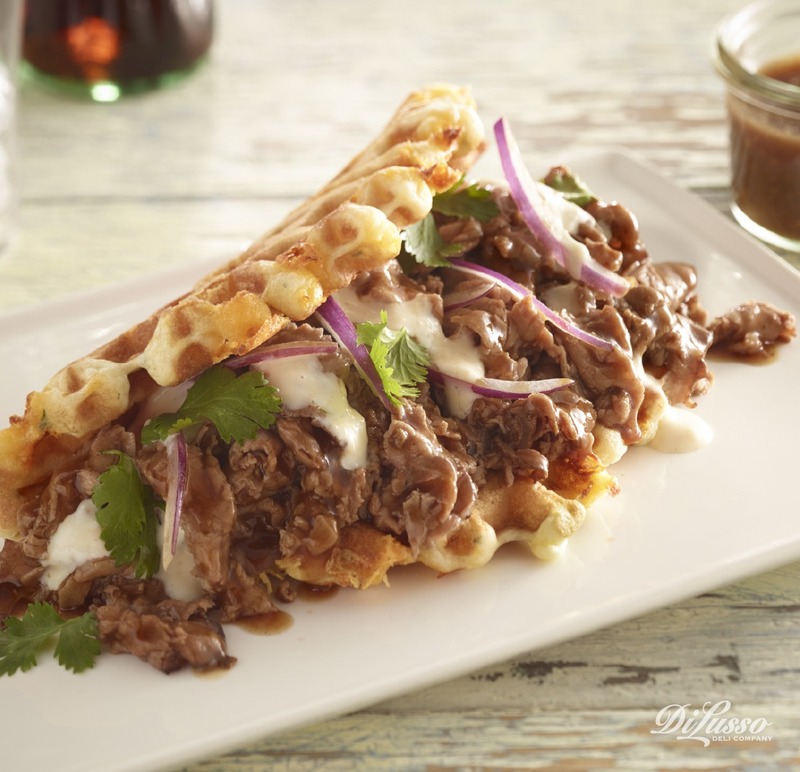 Pictured above we feature a tempting Beef Waffle Sandwich recipe. 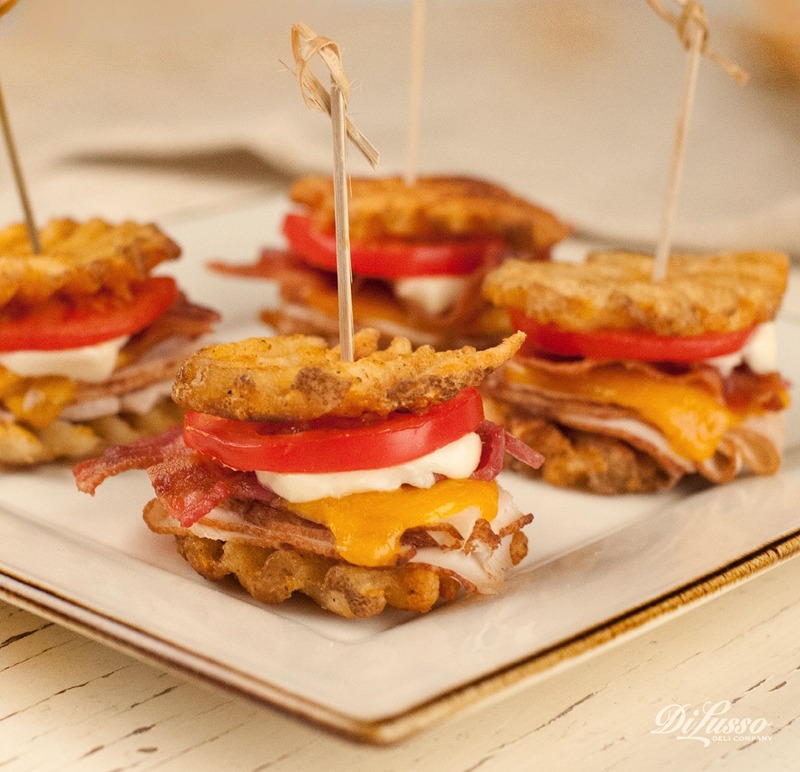 Try using waffle fries in place of bread for fun-to-eat mini sandwiches with DI LUSSO® Turkey, melted DI LUSSO® Cheddar, bacon and tomato. They’d be great for a party—just have plenty of napkins on hand.